In The Wizard of Oz, they’re the trio of faithful friends who help Dorothy reach the Emerald City and defeat the Wicked Witch of the West. Anyone who’s seen the film will remember the Scarecrow who sings “If I Only Had A Brain”, the Tin Man who yearns for a heart, and the Cowardly Lion who just longs to be brave. Bringing these much-loved characters to life on the Haymarket stage are Craig Saunders, Bryn Hughes and Ian ‘Spud’ Smith, all long-term members of Basingstoke Amateur Theatrical Society. 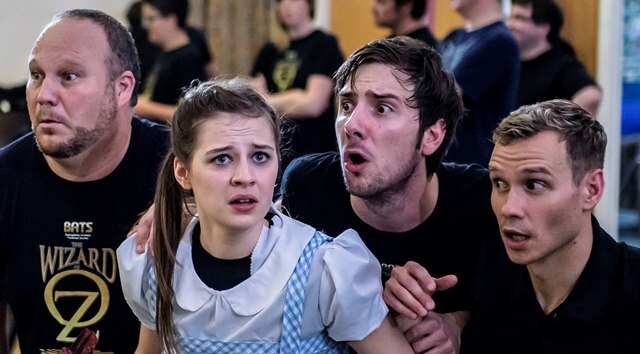 Ten performances of The Wizard of Oz run from Thursday 20 - Saturday 29 November. Performances start at 7.15pm with 2.15pm matinees on Saturday 22, Sunday 23 and Saturday 29. Any young actress who plays Dorothy in The Wizard of Oz has some very big shoes to fill - or should that be ruby slippers? It’s a part that defined Judy Garland forever. Anyone who saw Alyssia give a sneak preview of Over the Rainbow at the recent Mayor’s Variety Show at the Anvil will have been impressed by her lovely singing voice, and the warmth and sincerity of her performance. But even at 16 she is a stage veteran. 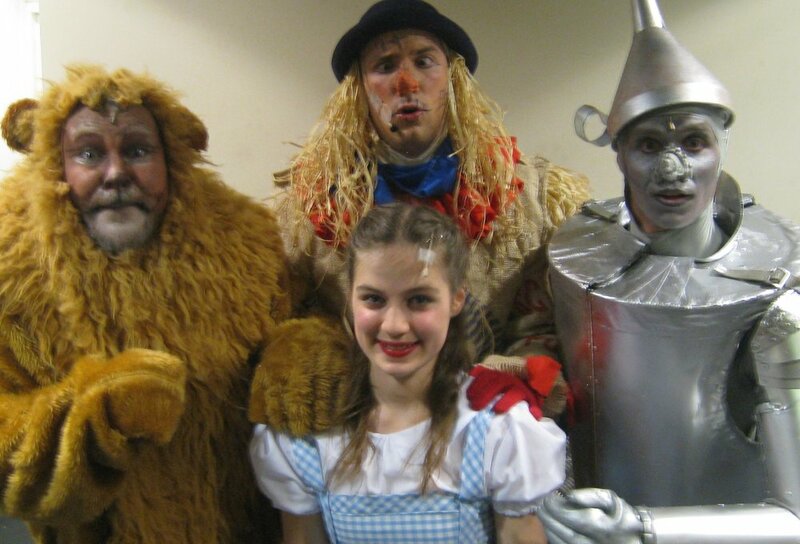 The Wizard of Oz is Alyssia’s fourth show with Basingstoke Amateur Theatrical Society, following parts in Annie, Carousel and The Music Man. She’s also currently rehearsing BAOS Limelight’s production of Grease in October, and Winchester Theatre Royal’s Christmas panto Sleeping Beauty. On Saturdays she attends JG Dance Theatre School, in Henley. All this alongside A-Levels at QMC. "In olden days, a glimpse of stocking was looked on as something shocking but now, God knows, Anything Goes!" Thirty voices, male and female, belt out the classic Cole Porter tune around an electric piano. Two young dancers pull rehearsal skirts over their Iycra leggings. Black rubber matting is rolled out across the blue carpet and dozens of chairs are expertly arranged into the approximation of a ship's deck. We're at the Wesley Hall in Chineham. For the past two years this has been the rehearsal home to Basinqstoke Amateur Theatrical Society, where the cast is rehearsing Anything Goes, the much-loved musical set on board a luxury ocean liner in the 1930s. "Right, let's run it from the top of Act Two." Seated at his desk in complete control of proceedings is the show's director, Ray Jeffery. He's meticulous in his preparation and knows exactly what he wants from each member of the cast. Vocal harmonies ring out at the climax of the Act Two opener "Public Enemy Number One" and everyone strikes their set pose. "You're absolutely static for this bit," hotlers Ray sternly - then breaks into a grin" ... until the back flips!" Ray's never ending stream of quips keeps the atmosphere fun and friendly. He's already spent a week in July with the principal cast members, setting their moves and dialogue for every scene in the show. Now it's mid-September, and he's adding in the rest of the cast, who play sailors, preachers, gangsters, reporters and FBI agents. This can present some challenges! As lead actors Julie Simmons and Bryn Hughes perform their number "You're The Top" they now encounter bodies on stage where there were none before. Ray moves one sailor further upstage. Some dance moves are adapted. It's a real insight into the nuts and bolts of staging a big musical. It started as a room full of chaos, but now the sole focus is on Bryn and Julie as they sing and dance with real joy and pizzazz. At the end the cast erupts into applause. There's a fantastic energy in this rehearsal room - and it's giving this musical a real feelgood factor.